Mike had his first interest in the construction business when he visited a new home construction site during his sophomore year of high school. The new home was being built by high school students of the Johnson County Area Vocation Technical School in Olathe. After seeing what the students were building, he immediately knew he wanted to sign up for this two year vocational training in Carpentry. Mike continued with his interest in construction and enrolled into the Construction Science and Management program at Kansas State University. Following graduation of the program, he began his professional career in construction. While working during the day he earned two graduate degrees, the first being a Masters of Construction Management and then his MBA. Mike has a passion for the construction industry and the challenges that the business offers. 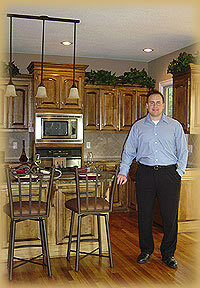 Mike has managed approximately $500 million dollars of commercial and residential construction projects.